Many people eat figs all over the world. 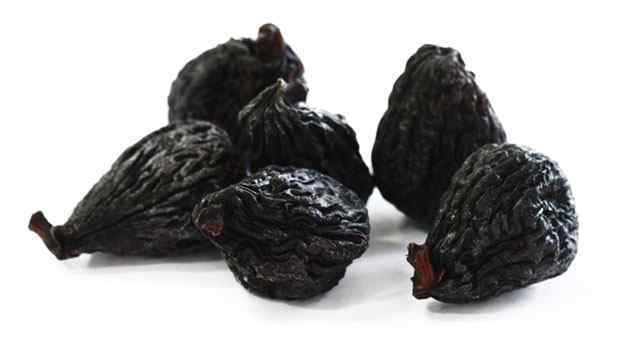 The health benefits of dried organic figs made them very precious. Fig, also known as Anjeer, is an excellent part of a healthy diet. These are one of the earliest fruits cultivated my man. Ficus Carica is the Botanical name of Fig. Figs were originated in Northern Asia and spread throughout Mediterranean region with the Greeks and the Romans. Figs are generally not available for the entire year but dried figs are available in all seasons throughout the world. Consumption of a fig in its dried form became popular for its multiple health benefits. The majority of the figs are dried either by exposure to sunlight or through an artificial process. A dried fig occupies high mark in a healthy diet with its natural sweetness and nutrition values. Figs are rich in fiber and high in minerals like calcium, iron and Zinc. The unique texture of dried digs makes them a wonderful addition to sweet dishes. An English proverb says that “Peel a fig for a friend and peach for your enemy”. Maybe this is because figs have been traditionally linked to wisdom, fertility and sweetness. Believe me, fresh figs are healthy and tasty but dried figs are simply awesome! Why Consume Dried Organic Figs? 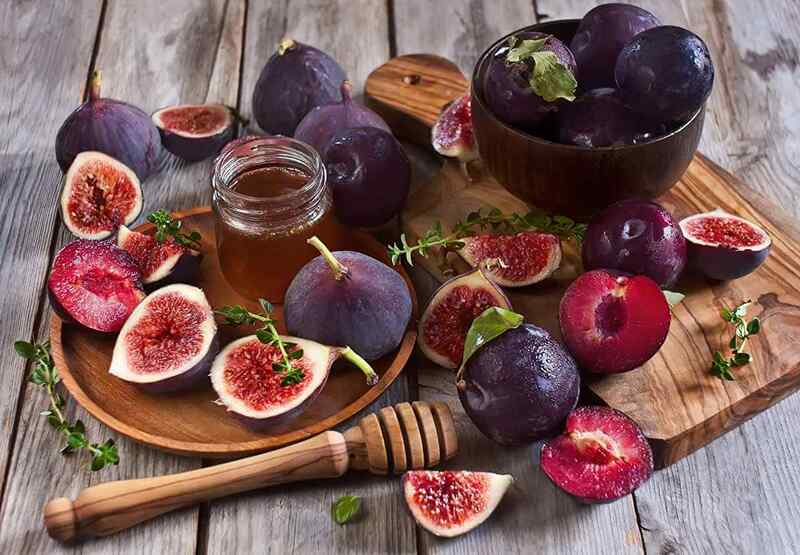 When it comes to Figs, conventionally grown specimens are often dried in an artificial process that includes sulphur dioxide gas. Additionally, sometimes sulphites are added to extend their shelf life. Some people have sulphite sensitivities so while buying organically labelled fig, you can make sure that sulphur compounds have not been used in cultivation. So don’t hesitate to choose dried organic figs. They lower your exposure to pesticides and other chemicals too. Dried organic figs contain the highest combination of fibre, nutrients and mineral content. They are fat-free and sodium free with no cholesterol. 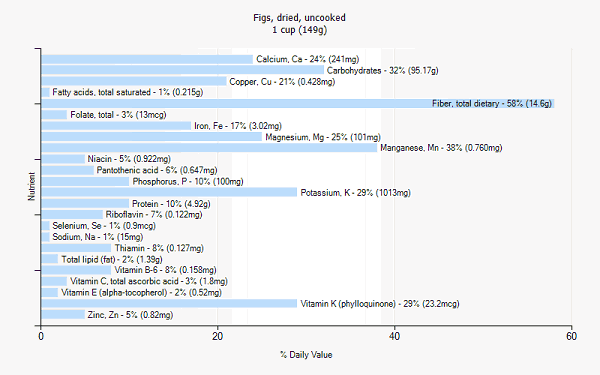 They have more dietary fibre per serving than any other common dried or even fresh fruits. 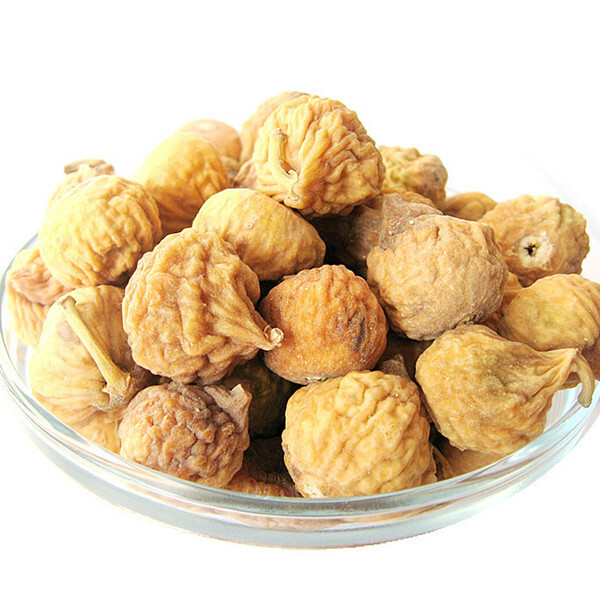 There are different kinds of dried organic figs in existence. Each of them has a different flavour and health benefits. So let’s discuss some of the best dried organic figs. These have been cultivated in Turkey for thousands of years with the ideal climate. These are plump, moist, packed with flavor and loaded with mineral contents. These Figs are rich in vitamins, antioxidants, and digestion-friendly servings of fiber. They are 100% organic without any chemicals or pesticides. You can confidently bring in bulk and store them in the fridge for up to 6 months. These figs are small with mellow sweet flavour and are light pink from inside. All natural dried organic mission figs are grown with no chemicals or pesticides. These delectable fruits are an excellent source of dietary fiber, potassium, calcium and iron. California produces 100% of nation’s dried figs and 98% of the fresh figs. All natural dried organic California figs are grown without chemicals like other dried organic figs. These figs are smaller and not as sweet as dried Turkish figs. These figs have a delicious taste which is ideal for snacking, baking and cooking. These are a healthy treat rich in dietary fiber, potassium and other minerals. These figs are an all natural energy source. So they are perfect for an afternoon snack or a quick snack before a game or a workout. These Figs are grown in the wild mountain regions of Uzbekistan. These baby figs are of great flavor. Wild mountain baby figs are much drier than Turkish or California figs but just as delicious as both of them. Like other dried organic figs, these are also grown without pesticides and additives. Scientific studies have shown that dried organic figs help to reduce triglycerides in the body which are fat particles that circulate in the bloodstream and are a major cause of heart diseases. The high levels of antioxidants present in them help to eliminate free radicals and reduce the risk of heart diseases. 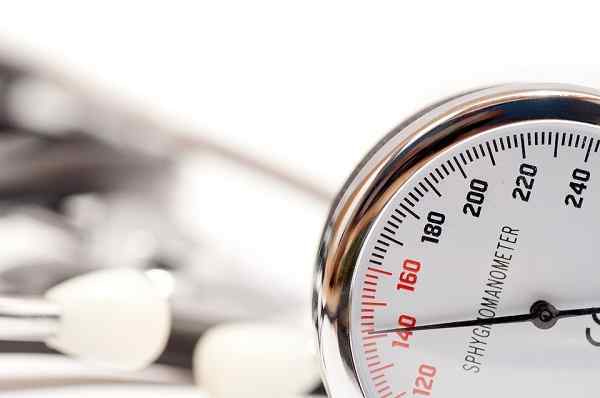 They prevent hypertension, a huge risk factor for the development of Coronary Heart Disease (CHD). One piece of dried fig contains just 47 calories and only 0.2 grams of total fat. So, these are an ideal snack for people who want to lose weight. 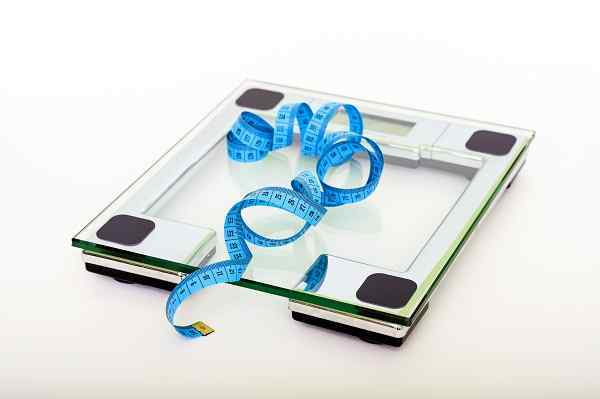 Health experts say that food with high fiber makes one feel full and satiated for long time which is why they easily fit in your weight management regime. Dried organic figs are a natural laxative for preventing constipation and other digestive problems like Irritable Bowel Syndrome (IBS). The high fiber content present in them helps in maintaining healthy digestive system. These are essential for regular bowel movements and in easing digestion when you consume them regularly. According to ancient literature, a dried organic fig is considered as a sacred fruit and a natural aphrodisiac. Since it is loaded with minerals like Zinc, Manganese, Magnesium and Iron, it contributes in improving the reproductive health. The antioxidant-rich dried figs help in preventing damage due to free radicals. These free radicals make a cell cancerous. Also, young girls are often advised to eat them to overcome PMS (Premenstrual Syndrome) issues. These are a high source of antioxidants and fiber. So they help in protecting against post-menopausal breast cancer and hormonal imbalances. Dried figs are a good source of Potassium. Our body needs potassium to maintain blood pressure. When you eat more salt, the level of sodium increases. Therefore you require a diet rich in potassium such as dried figs to balance and to lower blood pressure. A single dried fig contains 129 mg of Potassium and 2 mg of Sodium. Our body doesn’t produce calcium, so one should include food sources which provides calcium. One dried fig gives you 3% calcium of daily requirement. So along with other Calcium rich foods, including dried figs can help improve bone strength. 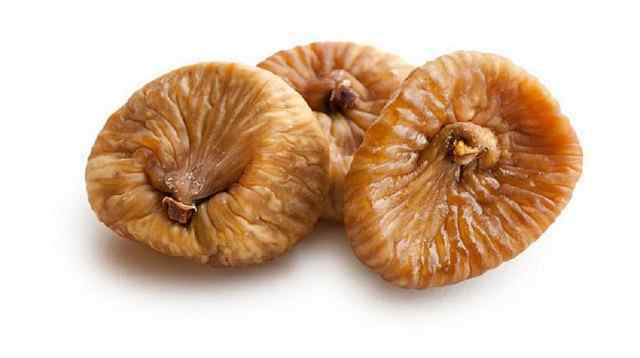 During pregnancy also these dried figs are taken for baby’s growth. The high Potassium helps to regulate blood sugar to help diabetics. Studies have found that chlorogenic acid present in dried figs helps lower blood sugar levels. They control blood glucose levels in type-ΙΙ diabetes. Dried figs are a rich source of Iron. Iron is an important mineral that carries Hemoglobin throughout your body. So eating them is a natural way to raise your Hemoglobin levels and hence increase the levels of Iron in your body. Dried organic figs are rich in nutrients like Vitamin B, C, Phosphorous and minerals like calcium and magnesium which boost your skin’s health. The high Omega 3 fatty acids present in them keep the skin moisturized and conditioned. 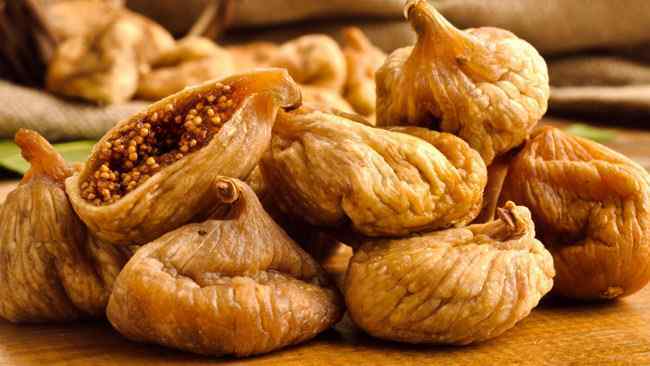 The main advantages of dried figs are that they’re low in calories than dates and also better source of fiber. They have more than twice the amount of Calcium and Iron as compared to dates. Also, figs are the better source of Zinc than dates. Note: When it comes to vitamins, dates are the better source of Folate and Vitamin A than Dried Figs. However, dried figs are again a good source of blood clotting Vitamin k than Dates. So finally, we can say that Dried Figs are a better choice than Dates. The minerals present in figs are known to improve the health of sperm cells. They help to increase sperm count and sperm motility. 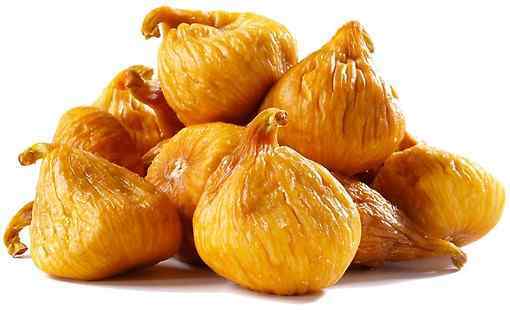 Having dried Figs is good for sexual health and sexual stamina. Storage: You can store the dried figs in the refrigerator for up to 6 months. If you plan to store them for a year, keep them in a freezer bag or airtight container. So friends, hope you are now well aware of the various health benefits of dried organic figs and hence would want to include them in your diet as much as possible.